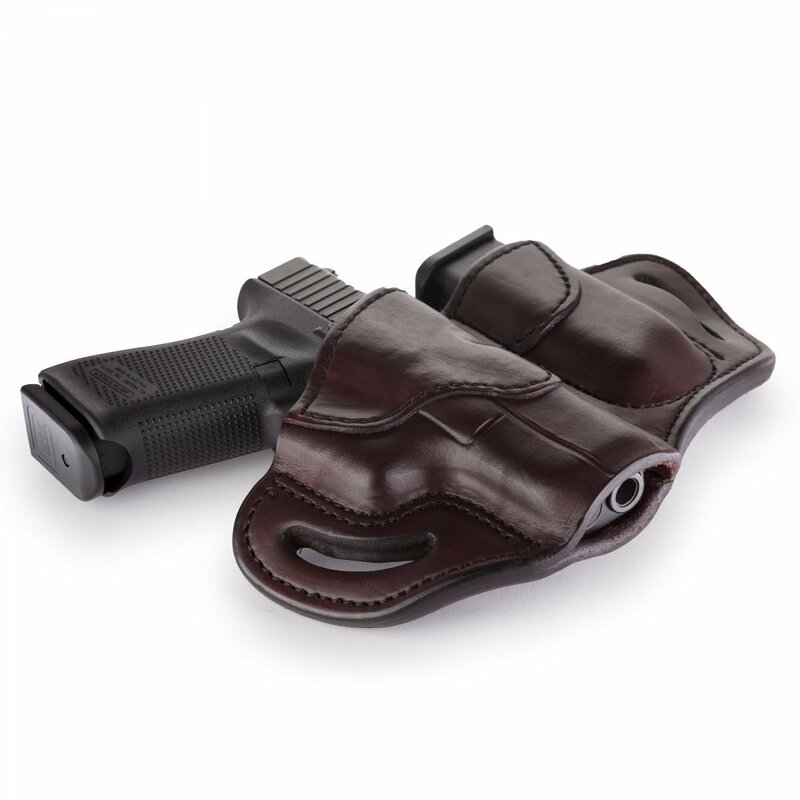 1791 Gunleather designed the Combo Open Top Multi-Fit Belt Holster 2.1 and Mag 1.2 for use on duty, on the range, or in the field, with extra carrying capacity and all-day comfort in mind. Choose your gun’s make and model for a custom fit that you can rely upon. 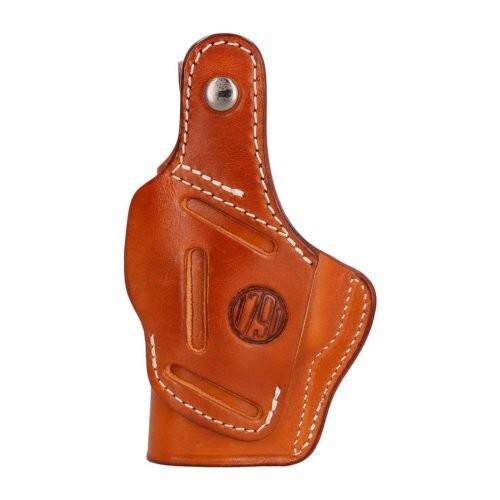 As with out other open top holsters, you’ll get a quicker, more confident draw without unnecessary security features in your way. 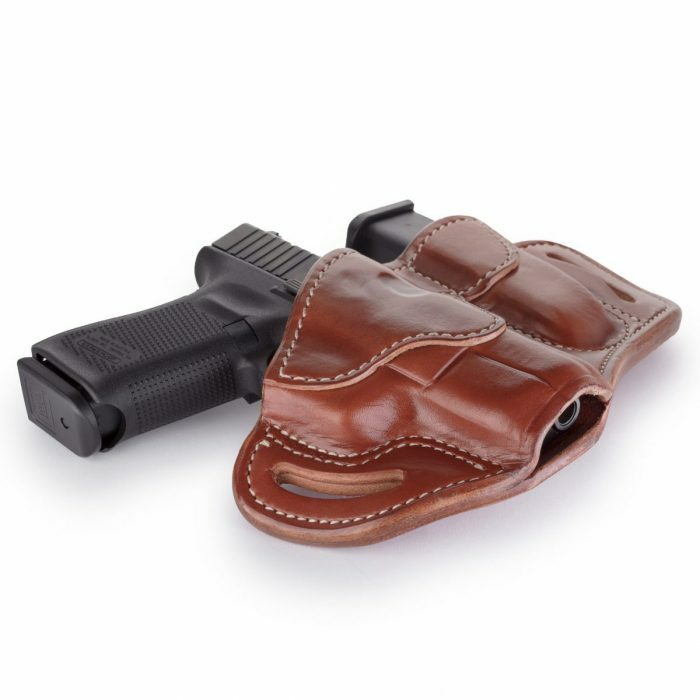 The Combo Open Top Multi-Fit Belt Holster and Mag Pouch is a pancake-style holster that holds your gun and ammo tight using natural pressure between double-stitched leather and a weeks-long, wet-molding process, specific to the make and model of your gun. The premium heavy steer hide leather we use is of the highest quality, made to last by fourth-generation leather artisans. The open top design and curved, wide-spaced belt loops optimized for a 1.5” belt allow a closer ride and more comfortable carry. Are you left-handed or right-handed? Choose your modus operandi. 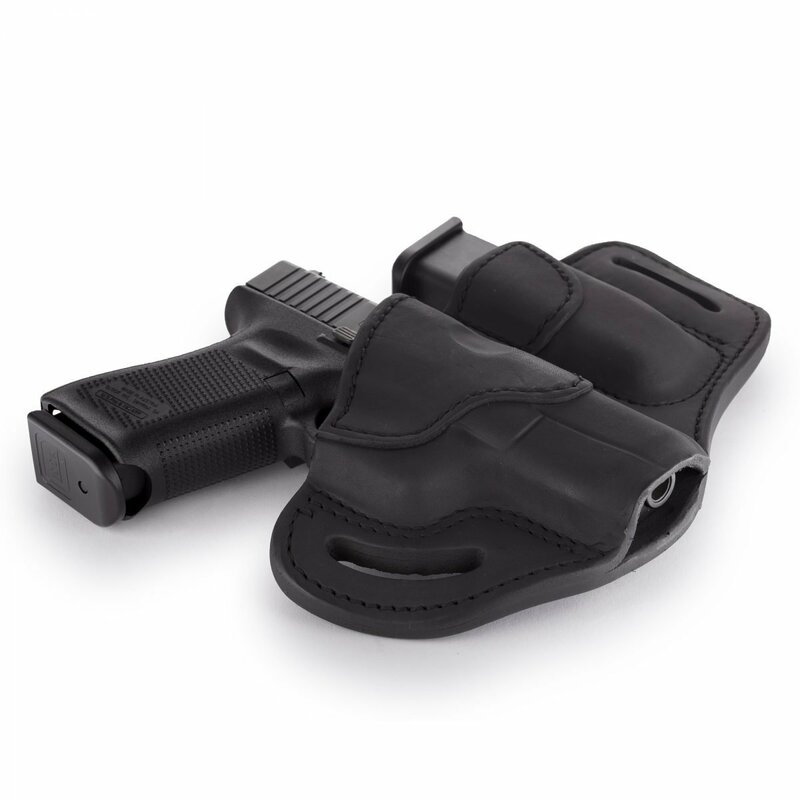 Even if you’re not left-handed, you may want a left-handed holster if you’re concealing and position your gun at 5 o’clock, in the small of your back. What color boots and belt do you wear? Match to Stealth Black, Signature Brown, or get the best of both worlds with Brown on Black. Many first-time customers immediately love the brown holsters, but conceal & carry fans get the best concealment from black. We take great pride in producing top quality leather holsters and mag pouches that look handsome and timeless. 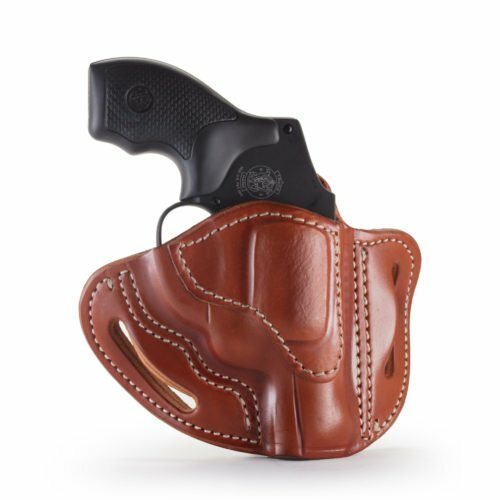 We have holsters for every make and model! 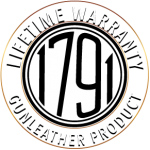 Visit our holsters page to see more open top leather holster options from 1791 Gunleather. If you have any questions, do contact us. No inquiry is too big or too small. As a relatively young company, we’re eager to please. 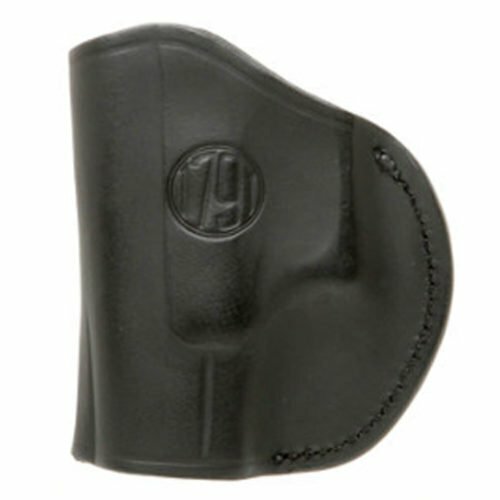 We want you to find a holster with mag pouch that truly suits your needs. Unlike other brands that offer a five-year limited warranty, we give you a Lifetime warranty and stand behind our craftsmanship.